The first paid telephone call was from Mr Wright (Regent 6227) of Thexton & Co. Gentleman’s Tailors in London to Mr Pommer (Murry Hill 7000) of the large New York department store, B Altman & Co. 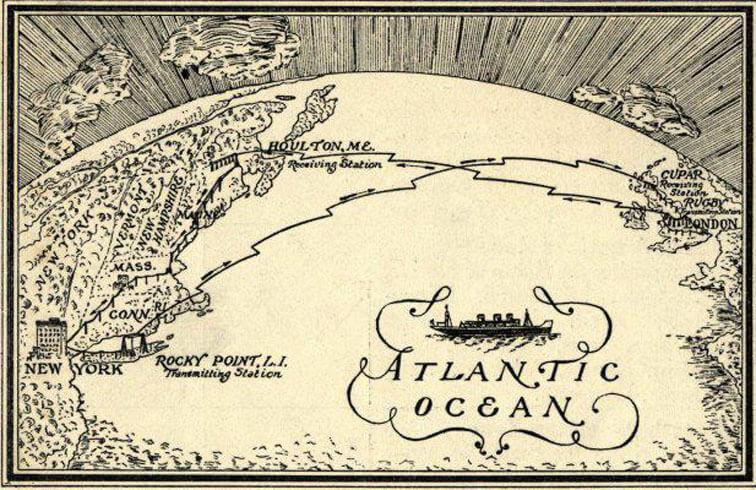 Even though transatlantic calls were hugely expensive, the service quickly became immensely popular. Call charges for the first three minutes were £15 (£600 at today’s prices) and then £5 a minute from there on. Even though the cost was at a premium and the call quality was variable due to atmospheric conditions, demand was high when the booking of calls opened on 5th January 1927.